Spotlight Rainbow in Madhyamgram, Kolkata North by Spotlight Finance and Consultancy is a residential project. 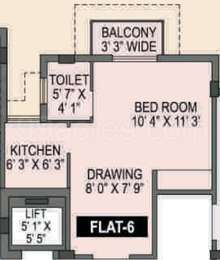 The size of the Apartment ranges in between 435.0 sq.ft.  and 1239.0 sq.ft. Spotlight Rainbow price ranges from 10.44 Lacs to 29.73 Lacs. Spotlight Rainbow offers facilities such as Gymnasium and Lift. Bank loan approved from State Bank of India, Canara Bank, IDBI Bank Ltd., AXIS Bank LTD. and LIC Housing Finance Ltd. It is a ready to move project with possession offered in Jun, 2017. The project is spread over a total area of 1.81 acres of land. It has 60% of open space. Spotlight Rainbow has a total of 7 towers. The construction is of 4 floors. An accommodation of 194 units has been provided. Spotlight Rainbow brochure is also available for easy reference. Where is Spotlight Rainbow located? 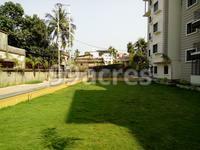 Madhyamgram, a prime residential locality for house seekers in Kolkata North. What is the area of apartments in Spotlight Rainbow? The area of apartments offered in the project ranges from 435.0 sqft to 1239.0 sqft. What is total area of 1 bhk in Spotlight Rainbow? 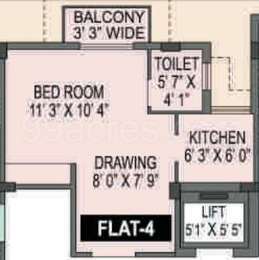 1 BHK unit in the project are available in an area of 435.0 sqft to 436.0 sqft. What is the area of 2 bhk in Spotlight Rainbow? The size of a 2BHK unit in the project ranges from 763.0 sqft to 1119.0 sqft. What is the 3 bedroom size in Spotlight Rainbow? The area of 3BHK units in the project varies from 1016.0 sqft to 1239.0 sqft. What is the total area of Spotlight Rainbow?The project spans across 1.81 Acres. ieves in delivering the best quality of the product within a targeted time frame with client satisfaction. Spotlight Rainbow - construction updates? I am eying at this project Spotlight Rainbow in Madhyamgram for investment purpose. Has the construction work started here? When is the possession for this project expected? Excavation has got completed and contruction has just started here. You can expect the possession in 2-3 years - 2015 by max!